Windows Media Center, a program that has been part of the Windows OS ever since it was introduced in a special edition of Windows XP in 2002, will be no longer shipped with future Windows OS starting with Windows 10. During an interview at the Build developers’ conference in San Francisco, a Microsoft executive confirmed to ZDNet that Windows Media Center will not be updated or ported to Windows 10. If the Media Center software is essential for you, you will need to stay with Windows 8.1 or lower. This shouldn’t come as a surprise for you if you’re a Windows Media Center enthusiast. There have been many signs pointing out the end of Windows Media Center. The team behind the development of the media software was broken up in 2009, having their last work included in Windows 7. 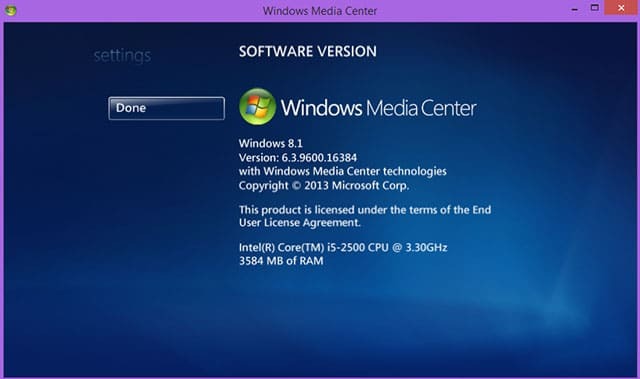 Later in Windows 8, the company ported the media software without adding any new features.